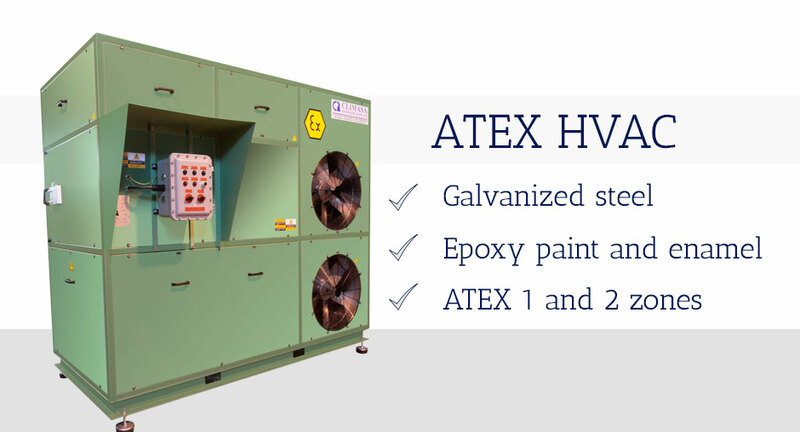 In booths analyzers you need a renewal of air to keep within allowable limits the concentration of pollutants likely to have the air of the room. For that an additional conduit is enabled on the aspiration of our machines. 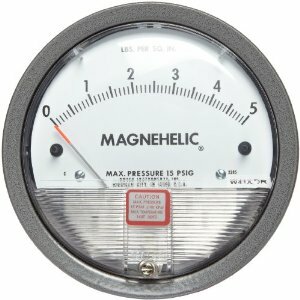 This line always has a manual valve, and optionally can be adapted automatic in any case it will open or close depending on the air pressure in the room. In the next picture we can see the canal with an automatic valve (left) and a manual valve clockwise. 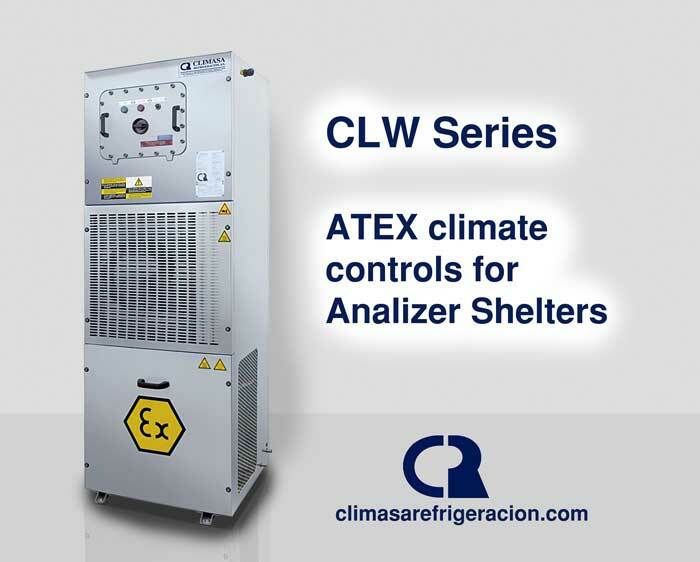 The following image shows the schematic way the circuit air with air conditioning cooling Atex Climasa. 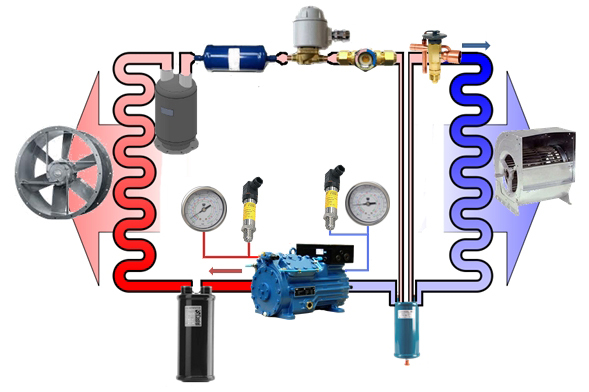 – Refrigeration HVAC Climasa CLB with input from outside air. 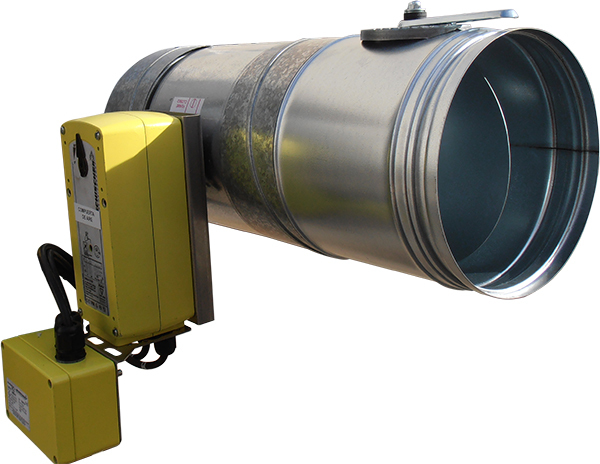 – Duct contribution of outside air duct damped rigid canvas for the connection between the house of analyzers and equipment Refrigeration Climasa. – Manual and / or automatic control valve outside air contribution.